Eagle Cliff Falls cascades over the rocks downstream. 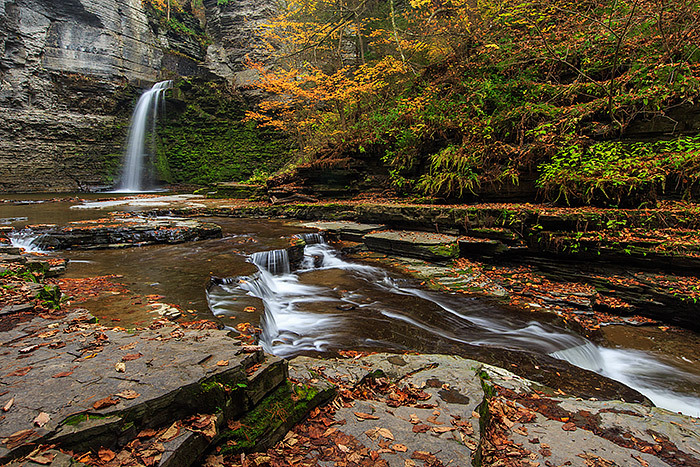 Fall is in its full splendor at Eagle Cliff Falls and the golden trees and fallen leaves make for a tranquil scene. Photo © copyright by Thomas Mangan.